Hat tip to my friend Petr for showing me this trick. 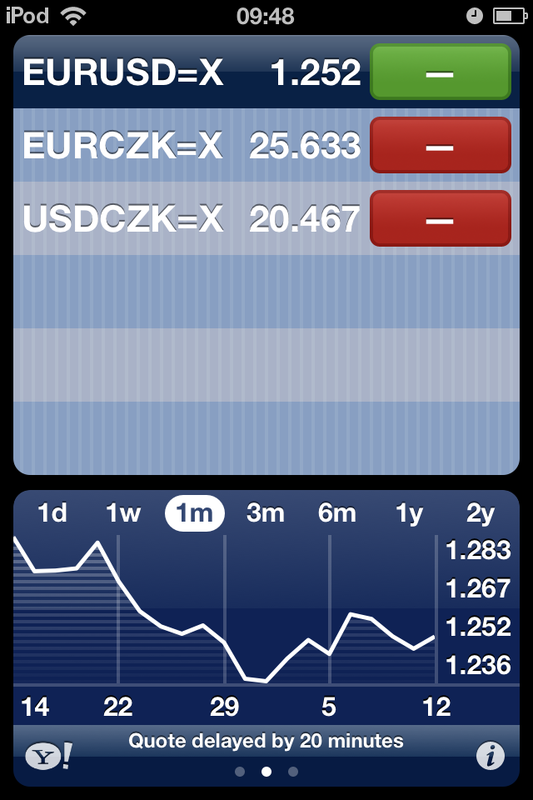 Did you know it is possible to display currency pairs in iOS Stocks app? Because it uses Yahoo Finance API, it is quite easy. 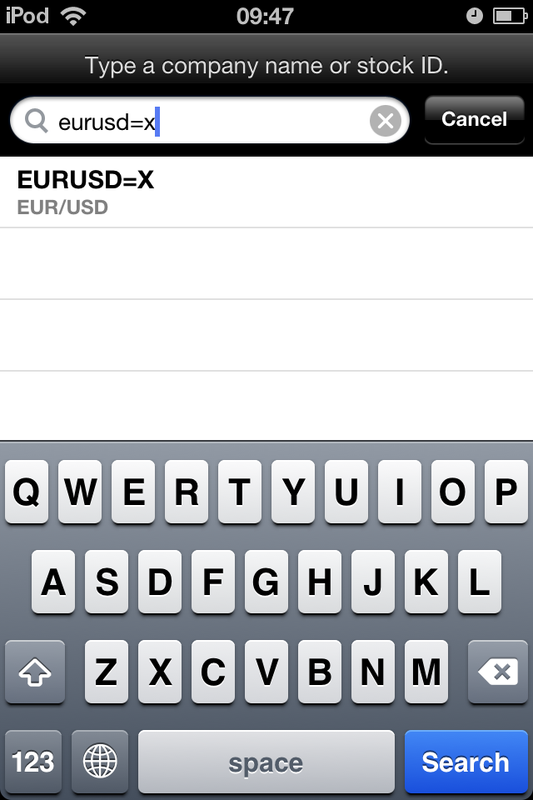 For example, if you want to add EUR/USD, search for “EURUSD=X”. 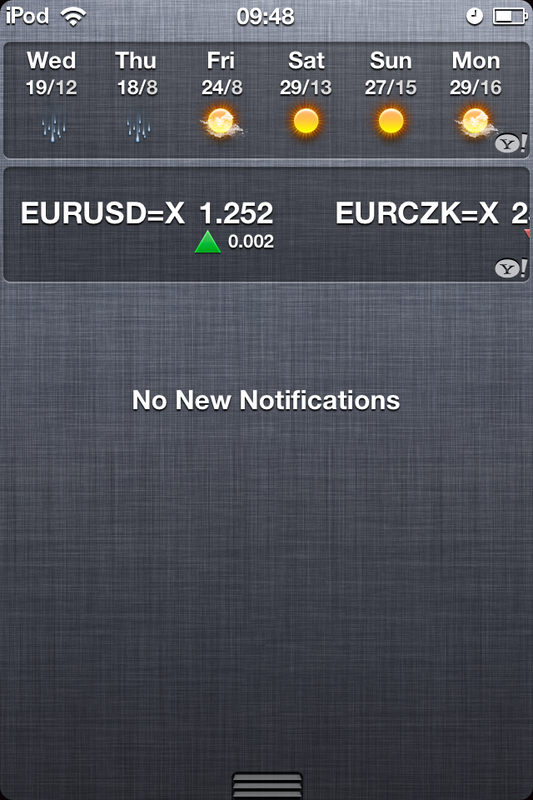 You can of course change the currency symbols and the selected currency pairs are also displayed in the notifications section. This nifty trick makes the Stocks app much more useful for me.